What I love about effective leadership, both in business and in life, is that there almost always is more than one way to successfully do something and more than one answer to any question or problem. Too often we may look at someone as the “expert” or the “best” at a certain skill, and we convince ourselves that in order to be successful we have to do it exactly like them. To say what they say. To act how they act. To do what they do. Reality is the opposite. In order to be successful we have to find the way to embody whatever skill we’re looking to achieve in our own way – to use our style and our strengths to develop our own expertise and approach. To be true to ourselves and who we are. While it is effective to model the behavior of people we respect, when we believe that we have to be exactly like them, we set ourselves up to fail. It simply isn’t possible to be someone else. 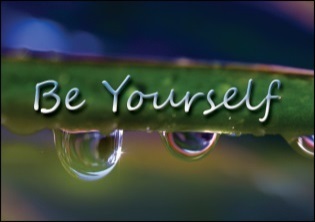 “To thine own self be true” means that we have to find the way to be our own selves within every skill or behavior – anything else is inauthentic and ineffective. Anything else lessens our abilities to succeed and shine as who we truly are. Reflect on someone you admire and the skill they possess that you would like to emulate. Describe how you will develop and use that skill being true to your unique style and strengths. Where have you convinced yourself that you have to be exactly like someone else in order to be successful? How can you give yourself the opportunity to do it your way and succeed? For help in being true to you, contact Robyn at rmcleod@chatsworthconsulting.com.